Finland should pursue improved dialogue with Russia despite a worsening relationship between the Kremlin and Western nations in the European Union and NATO, Finnish President Sauli Niinisto said Monday at a regional security summit in Helsinki. Niinisto’s comments came amid a diplomatic spat that arose after Finland banned several top Russian politicians from entering its territory for the meeting. 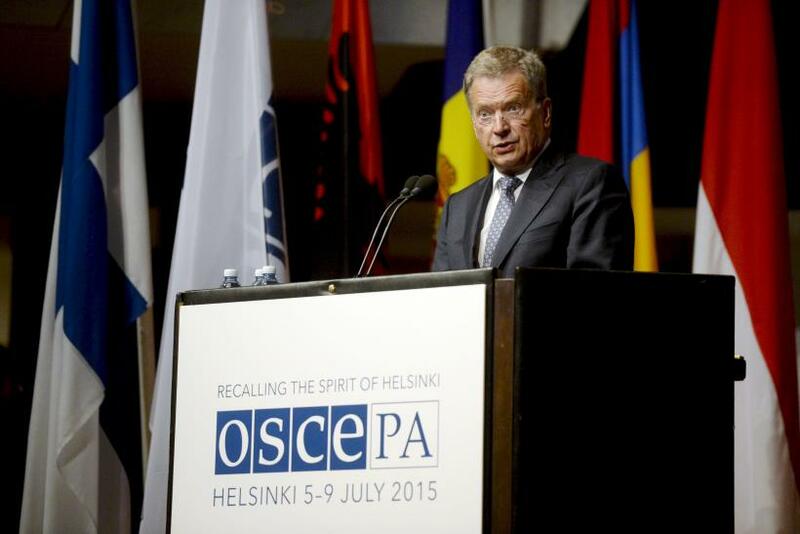 Niinisto spoke at the Organization for Security and Co-operation in Europe’s Parliamentary Assembly. Composed of representatives from 57 nations from around the world, the assembly allows nations to make recommendations for diplomatic resolutions and security in regional hotspots where unrest is likely or already underway, such as Eastern Europe. “We should remember that Finland is a member of the EU, ‘another camp’. And the role of a mediator does not entirely suit it. But bad relations between Russia and the West have an impact on all of us, and Finland in particular. That is why we are interested in maintaining the best possible relations with Russia,” Niinisto said, according to Tass, a Russian news agency. Both the European Union and NATO have expressed concern with Russia’s recent activity in Eastern Europe, including its annexation of Crimea and purported support of pro-Russian separatists active in Eastern Ukraine. The increased tension led Finland to strengthen its ties with the West as a check against Russian aggression, and even to consider entry into NATO. Last week, Finland opted to bar several Russian politicians, include Sergey Naryshkin, parliamentary speaker for the Russian Duma, from attending the Parliamentary Assembly in Helsinki due to their inclusion on a European Union sanctions list. The EU imposed travel bans and asset freezes on several members of Russian President Vladimir Putin’s inner circle after Russia’s annexation of Crimea and followed with sweeping economic sanctions on Moscow later in 2014. Russian diplomats, including Naryshkin, condemned Finland’s decision as a violation of international law. The entire Russian delegation boycotted the Parliamentary Assembly in response. “This is the expression of our protest against arbitrariness, against violation of principles of democracy and parliamentarism,” Naryshkin said in a statement.